Who needs to take the Category C1 test? Anyone who has passed their car driving test after 1st January 1997 is not entitled to drive a vehicle that exceeds 3.5 Tonnes. 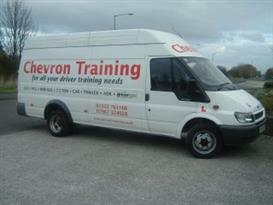 If you wish to drive a vehicle up to 7.5 Tonne you will need to take a practical driving test. You must be over 18 years of age, and already have a full car driving licence. You need to obtain your provisional entitlement on your licence for category C1 - see our page "What to Do". This entitles you to drive a goods vehicle up to 7.5 Tonne with a trailer no more than 750kgs, the total weight being no more than 8250kgs (8.25 Tonnes). 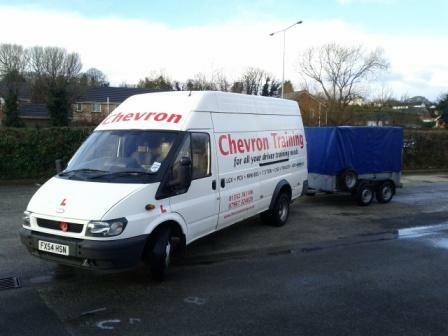 If you need to tow a trailer heavier than 750kgs, you will need the appropriate licence - we can arrange this for you using our vehicle and trailer.